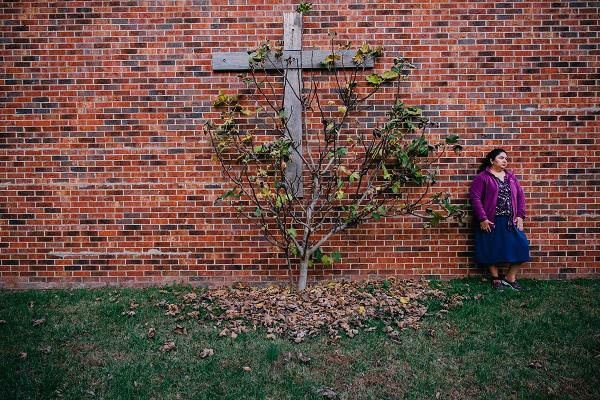 Juana Luz Tobar Ortega has been living in sanctuary in a Greensboro church for two years. A documentary film, "Santuario," follows her experience living in safety but apart from her family. Host Frank Stasio talks with co-directors Christine Delp and Pilar Timpane about their film,'Santuario.' He also talks with Lesvi Molina, the daughter of Juana Luz Tobar Ortega who is the subject of the film. Host Frank Stasio talks with co-directors Christine Delp and Pilar Timpane about their film,“Santuario,” and how they hope the film can be used as an advocacy tool for the growing sanctuary movement. He also talks with Ortega’s daughter Lesvi Molina about the experience of living in sanctuary and having a documentary made about their situation. “Santuario” will be screened as part of the Full Frame Documentary Film Festival on Friday, April 5 at 4:20 p.m. at the Durham Convention Center and at the Full Frame Theater at the American Tobacco Campus at 8 p.m. It will also be screened as part of the RiverRun International Film Festival in Winston-Salem on April 7 and April 12. Leoneda Inge reports on two undocumented immigrant women who have taken sanctuary in churches in North Carolina to avoid deportation. A church community in Greensboro has come together to provide sanctuary protection for a woman who was scheduled for deportation this week. Instead of boarding a plane for Guatemala, Juana Luz Tobar Ortega sought the help of religious groups and found St. Barnabas Episcopal Church in Greensboro.